SCUBASPA is a unique combination of diving on the best reefs in the Maldives and enjoying delightful spa treatments in between, whilst spending your time aboard a specially converted yacht. Scuba diving in the warm turquoise Maldivian waters is a unique and truly magical experience and the philosophy of Scubaspa is to bring this “magic” to every single dive you take. SCUBASPA has an experienced and professional team of Instructors and Dive Masters with an in-depth local knowledge, which in our opinion is vital in taking you to the very best parts of the very best dive sites. Their mission is twofold. First comes your safety, nothing is more important. Second is your total pleasure. They want your dive to be everything you dreamed it would be and more. SCUBASPA is a certified PADI 5* dive resort. Welcome to a unique Spa experience where traditional Asian therapies and the latest natural holistic treatments, are created to embrace your whole being. Each Spa treatment is designed to bring deep relaxation, optimum wellbeing and rejuvenation. Let all tensions dissolve with the ebb and flow of the Indian Ocean, as the mind and body are restored to a natural state of peace, harmony and balance. As you would expect on a luxury cruise vessel, whatever cabin or suite you choose you will enjoy spacious accommodation, finished in the most beautiful materials and to the highest standard. You'll have full control of your own climate thanks to the individual air-conditioning units. There is under-bed luggage storage and wardrobes for your use. Your ensuite bathroom has been designed to make use of all available space and completed by some of the finest craftsmen in the Maldives. 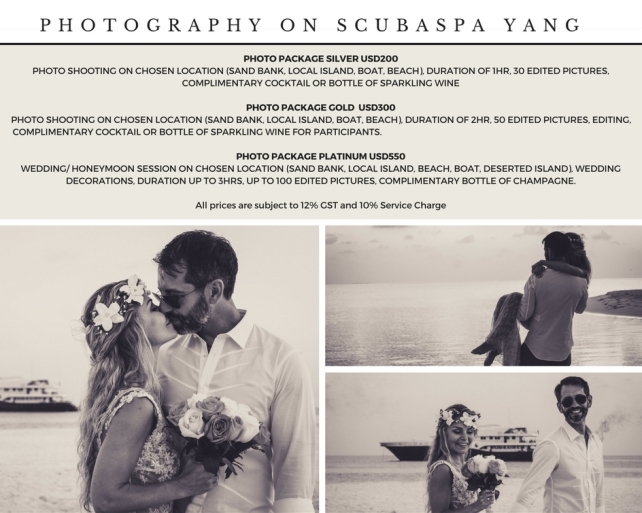 SCUBASPA can also be booked for weddings, party's and special occasions. Booking through John B Sutherland will allow you to access special discounts from time to time. For more details and a quotation, please email me.